London… Home to yours truly, and host to the annual Whisky Show, with attendees streaming in from all the weird and wonderful corners of the world. This kind of event is always difficult to predict – it could be an incredible experience or you could end up spending an entire weekend drinking for seven hours packed in a venue with hundreds of strangers who cannot hold their alcohol. 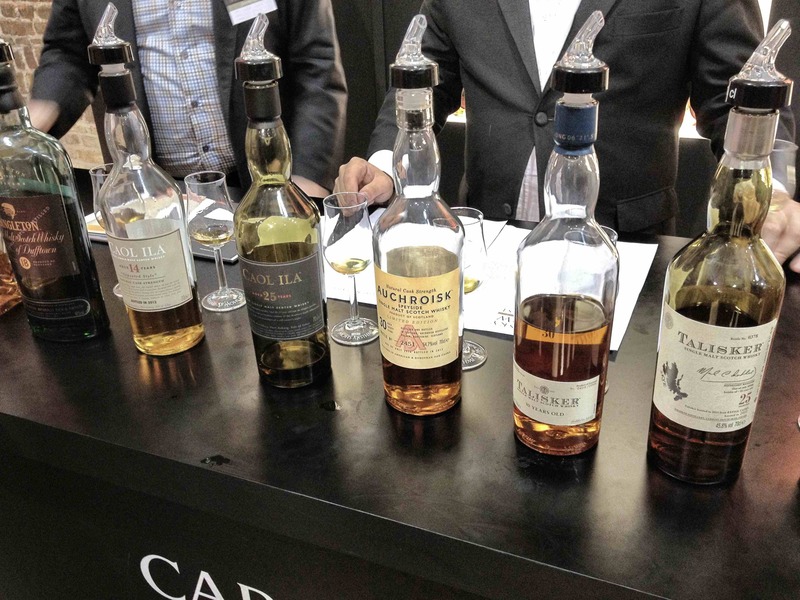 Nevertheless, the Whisky Show has been successful over the past few years in a number of respects – a fine selection of drams, decent food to keep you steady over the course of the day (although your pallet is inevitably less than perfect by the end of the day! ), interesting people to talk to and a number of masterclasses to learn more about the ever-expanding whisky universe. 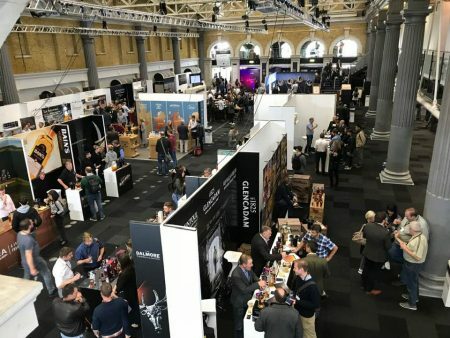 Perhaps most excitingly, the Whisky Show presents an opportunity for distilleries to showcase their latest “limited releases”, many of which then sadly show up at auction at grossly inflated prices a few weeks later, courtesy of those eager at the opportunity to make a quick buck and who, unfortunately, continue to find their way into the event. One of the more popular of such releases was this year’s Chichibu “London Edition”. An exclusive distillery bottling for the Whisky Show, it sold out immediately. Distilled in 2011, this whisky comes to us quite young (circa seven years old) – so if we were doing a blind tasting with only the age statement available you might not give this bottle much thought. But then again, the mention of Japan is enough to launch even the most unremarkable bottles into a different stratosphere. A word of warning – my lack of deference for the mainstream view may cause some of you offence. It is, however, my firm view that honest reviews are more important than ever in the whisky world, as people continue to buy their liquid solely based on name or country of origin. It is true that a good Japanese whisky may (justifiably) command a high (or at times exorbitant) price on the secondary market, particularly if it is not easily accessible. However, a high price tag can fundamentally only be justified if the product is outstanding. Having said that, Chichibu has an impressive track record with young whiskies, the quality and complexity of which belies their age. Malt has already covered a wide range of quality Chichibu bottlings, which only underscores what is ostensibly one of the great distilleries coming through right now. The London Edition, bottled at 56.5% from a combination of first fill bourbon barrels, hopes to continue that strong tradition. So, I delved in with an open mind, ignoring the background noise. On the nose: Light, fresh and floral – breathe deeply to take this one in. A field of barley with a soft sweetness. Vanilla extract, honey and some lemon zest and orange permeate throughout. The character of the spirit works well with the cask to give this a lot more character than a seven-year-old whisky. In the mouth: Honey, and a lot of it. Fresh orchard fruits – Golden Delicious stands out. Some nice pear, peach and orange flavours as well sitting alongside a serving of vanilla oatmeal. The character of the spirit nimbly moves in and out with barley and citrus notes that reflect the nose, adding a nice balance to the flavour and a nice symmetry with the nose. Oddly, a bit of Ovaltine and lighter fruit flavours to close out the finish that is prickly and lasts. The texture sits well but is a bit thin. It lacks that real impact you want from a truly great whisky – this needs a bit more body that would perhaps be achieved with a longer maturation time. The time it took for that pour to hit my glass felt like a lifetime. Every one of my taste buds willed this to be the dram of the Whisky Show. Imagine my disappointment when I realised that it was a bit empty, lacking the substance which would bring me to say that this is what you should be saving your pennies for and drinking in 2019. Was it worth the retail price tag? I doubt it. Is it worth the astronomical resale prices? Only if you have cash to burn and an ambition to add a bottle (or rather, the bragging rights) to your collection. Personally, I can live without it. You will see a lot of sites scoring this an 84-86 out of 100. To my mind, with this bottle scoring so high, where do we score the ‘very goods’, the ‘greats’ and the ‘holy grails’ – those bottles which leave us smacking for years after? Value for money is also a consideration, and there are so many better bottles to stock up on for the same, or a much lower price. Unfortunately, this has to be put to the side as an anomaly for a distillery that has gone from strength to strength. For those who could not get a bottle at the show, the good people at The Whisky Exchange did hold back a number of bottles for sale at retail price – a tip of the cap from me. They easily could have rinsed the market. Sadly, it is now only available at auction for £450-£500, if you’re lucky. That means that this London Edition should probably now be renamed to a “Mayfair” or “Chelsea Edition”. Now I can tell you what I think tastes good and is worth the price of admission, and that might be different for those out there reading this. Any review should be a helpful guide but not gospel, so please go out there and try for yourself if you can. You can still get a sample from The Whisky Exchange here if you want to explore further. To make things a bit more interesting, there was also a Chichibu Imperial Stout cask that was available to taste at the Whisky Show. That can be covered in a separate review – the bottles are not even available at retail yet, so stay tuned! There is a commission link within this review, just so you know. Such things never influence our opinion.